Climate change could have an impact so real you can literally taste it. A report from Australia suggests increased temperatures due to greenhouse gas emissions could change the way foods taste and make some vegetables, fruits and seafood varieties harder to find. It is the latest dose of bad news for Australia after several years of heat waves, wildfires and drought brought on by record temperatures, and it's a troubling warning for the rest of the world as well. "Australian farmers have always faced a highly variable climate, but now climate change adds significant additional complexity to their management," said Richard Eckard, the director of the Primary Industries Climate Challenges Centre based at the University of Melbourne, who contributed to the report. In addition to reducing production of crops and livestock by 2030, he wrote, "heat and drought are likely to reduce the quality of grain, grape, vegetable, fruit, and other crops." The report found a long list of supermarket staples would be effected if temperatures rise up to 1.6° Celsius (2.9° Fahrenheit) by 2030 (compared with the 1980-1999 average temperature) and up to 5°C (9° F) by 2070. 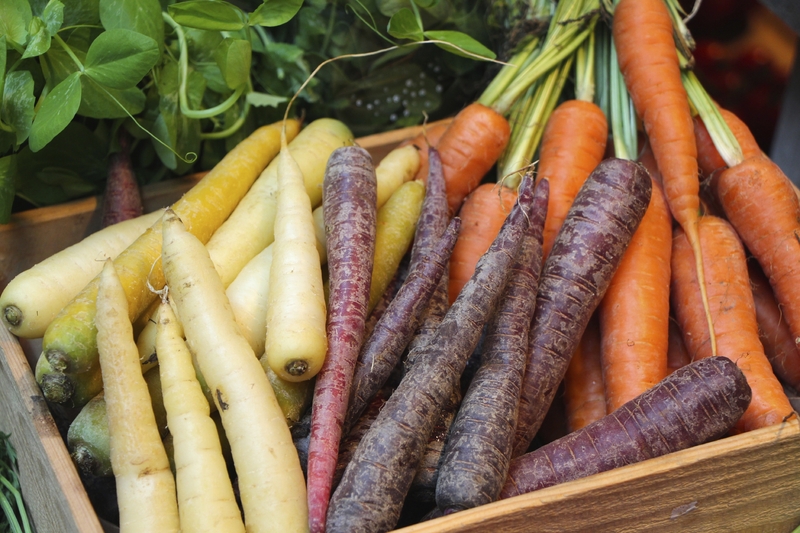 Carrots might lose some of their texture and taste, kale could become more bitter, eggplants could grow deformed and canola oil could lose about a quarter of its nutritional value. Many other crops could suffer lower yields, increased disease or reduced flowering, including raspberries, lemons, beets, potatoes, lentils and chickpeas. Meat and seafood would also be impacted. The rising temperatures could force ranchers to raise more heat-tolerant cattle which produce lower quality beef. Dairy cows would likely produce lower quality milk -- and up to 40 percent less of it. Heat stress could also be extremely dangerous to pigs and chickens, while higher temperatures in the oceans may lead to a decline in some species of octopus and result in "Southern scallops disappearing from our plates." Previous studies have found that in a warmer world, food prices are expected to rise and some of what we eat will have less nutritional value. Not everything on the farm, however, will suffer in a warmer world. The report found that sweet potatoes could become a greater part of the global diet, the range of olives should expand and such things as mangoes and eggplant will be able to grow in areas where it is now to cold to produce them. The report quotes some farmers who say they're worried about the warming trend. "Should we address global warming? We have no bloody future if we don't," winemakerDavid Bruer said. "I worry very much about my children. I just wonder what their future is." "Climate change is one of the top pressures facing farmers," said dairy farmer Lynne Strong. "If we as a community do not slow down climate change our access to a variety of nutritious, affordable foods will disappear. This is the reality."